ANKARA (Reuters) – Nine people were killed and nearly 50 injured in Turkey when a high speed train collided with a locomotive and crashed into a station platform and overpass in an Ankara suburb yesterday. 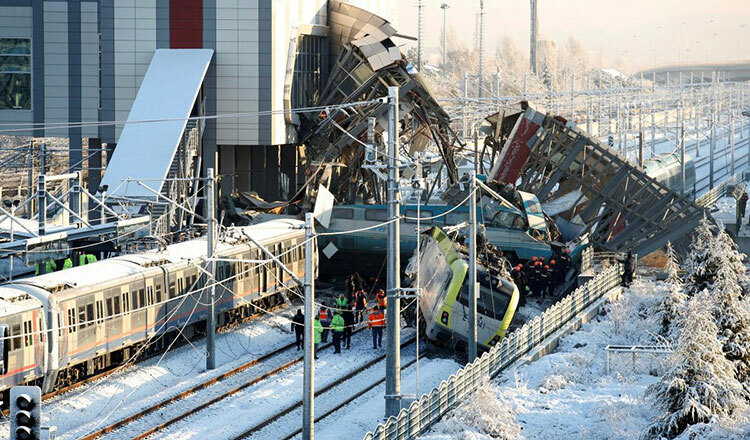 Rescuers worked to free people trapped under the mangled wreckage at Marsandiz train station, 8 km from central Ankara. 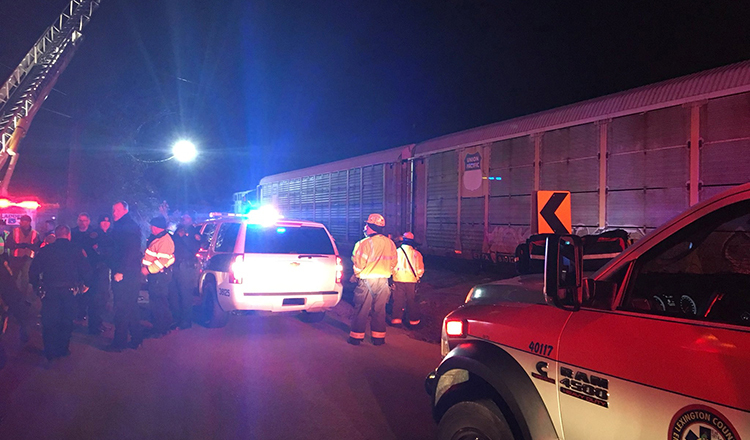 It was not clear at which speed the train and locomotive were travelling when the collision occurred. There was light snow on the tracks. The train had been heading from Ankara to the central Turkish province of Konya and was not due to stop at Marsandiz. Ankara Governor Vasip Sahin said the locomotive, which lay battered 20 meters further ahead, carried out track inspections. Three train drivers were among the nine killed in the crash, Transport Minister Cahit Turhan told reporters on the scene. There were 206 passengers on the high speed train, according to state-owned Anadolu news agency, which also reported that the Ankara state prosecutor’s office had launched an investigation.